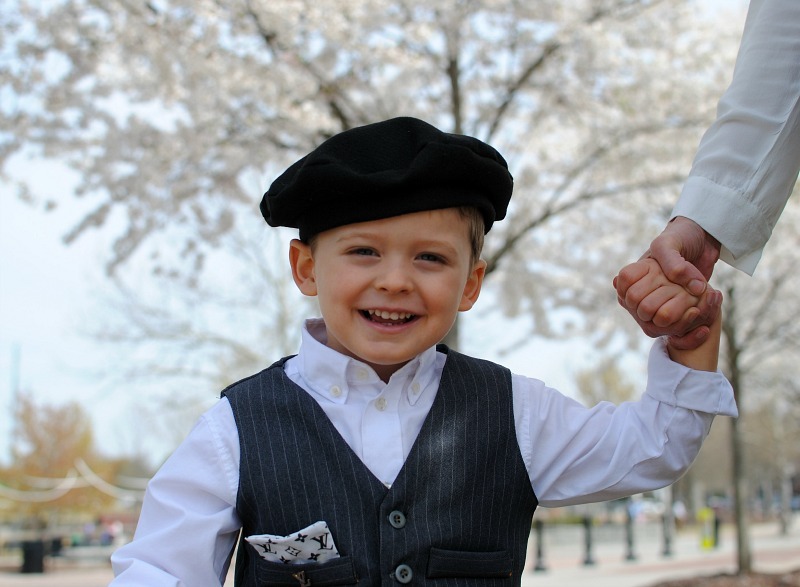 Lately I'v been interested in sewing more tailored looks for myself and my son. Maybe it's because I've been on the hunt for a sleek tailored pant and I haven't had any lucky finding a pair that fit me right so I decided to make my own using Stylish Fabrics Wool Suiting. Not only did a I make a pair of pants but I decided why not add a toddler vest to have a mommy 'n' me matching set with my little Louie. 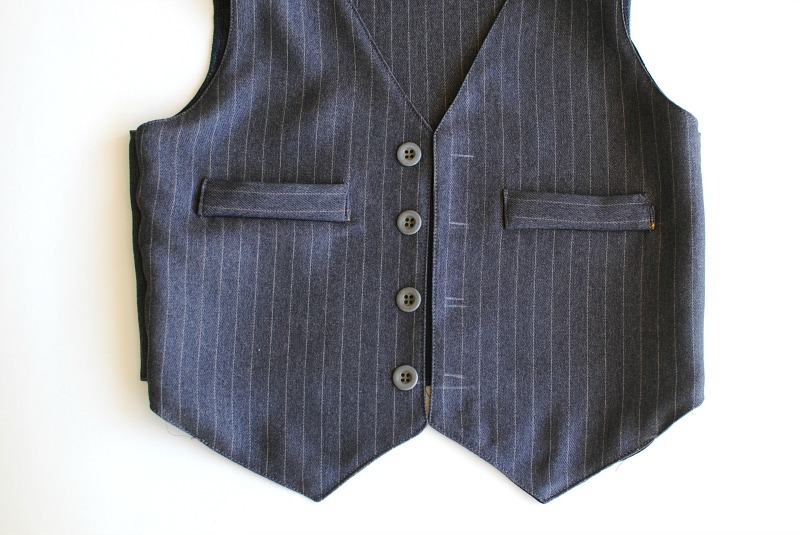 Since I've been sewing a lot with this material I compiled a blog post for those that may be interested or new to sewing tailored garments with wool suiting. 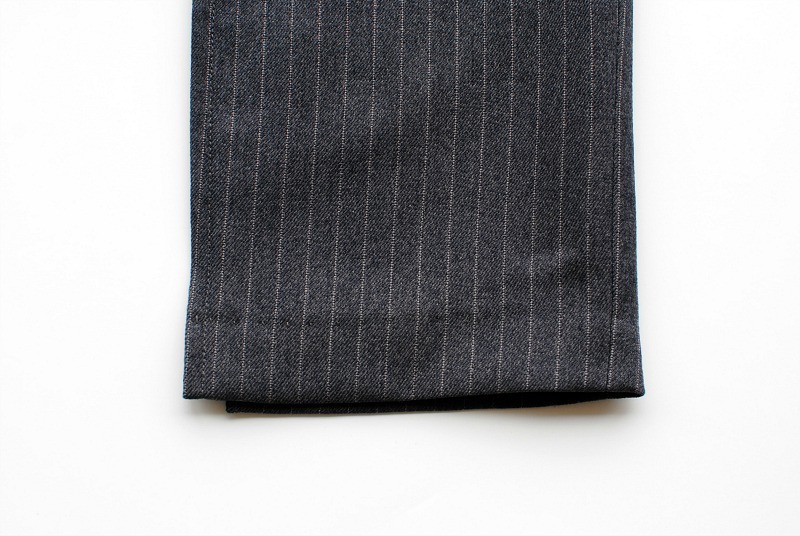 Wool Suiting fabric includes 100% wool as well as wool blends. The fabric comes in many different colors and prints but typically seen in pinstripe or flat, basic colors. 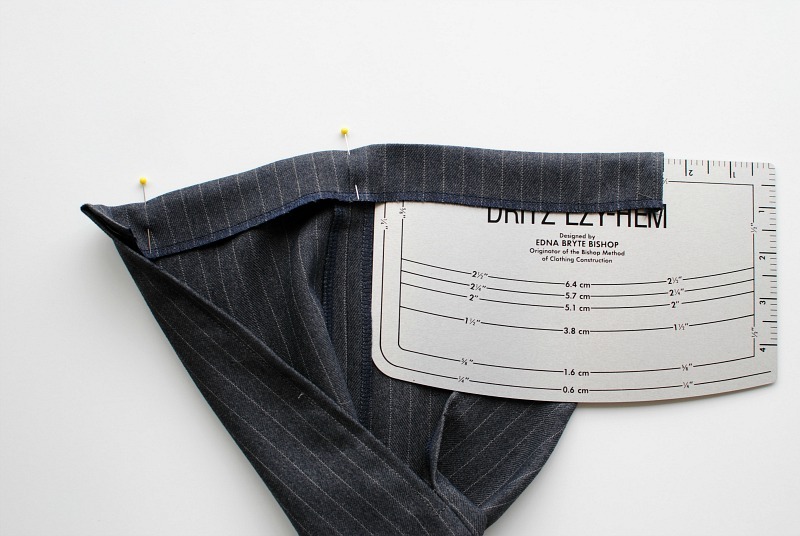 This fabric is typically used for tailored suits (Menswear), jackets, pants, vests, and pencil skirts. 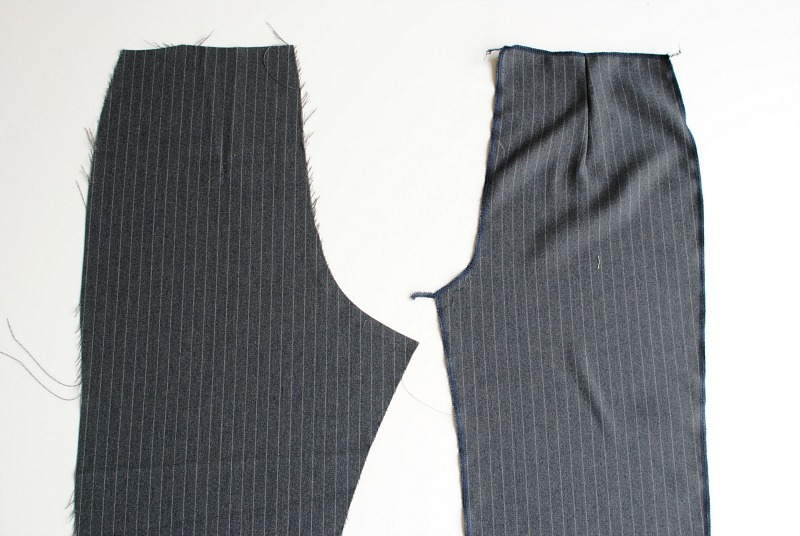 Wool Suiting fabric frays so you will need to finish the seam allowance edges after cutting and before sewing them together. This keeps the seam nice and flat on the outside of the garment. What I do is cut my pieces out, then I go right to the serger and serge all the edges. 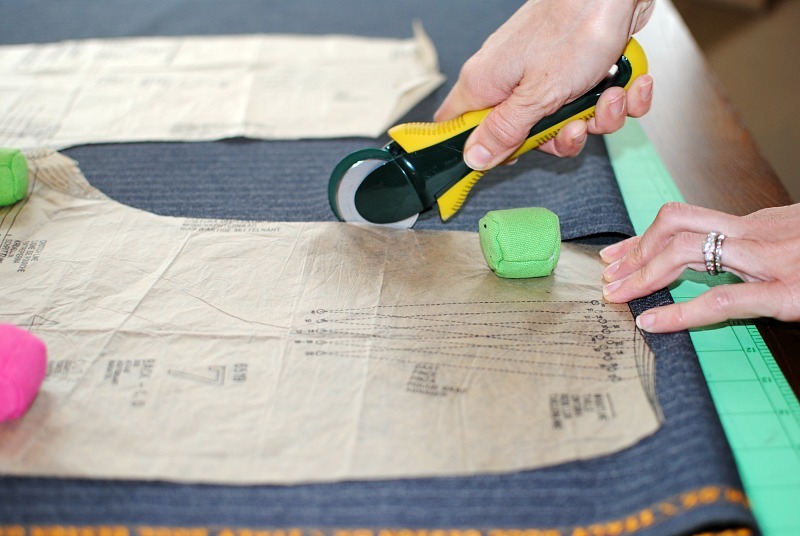 You will want to mark your pattern notches prior or clip them in since they will be cut off by the serger blade. I used tailors chalk. 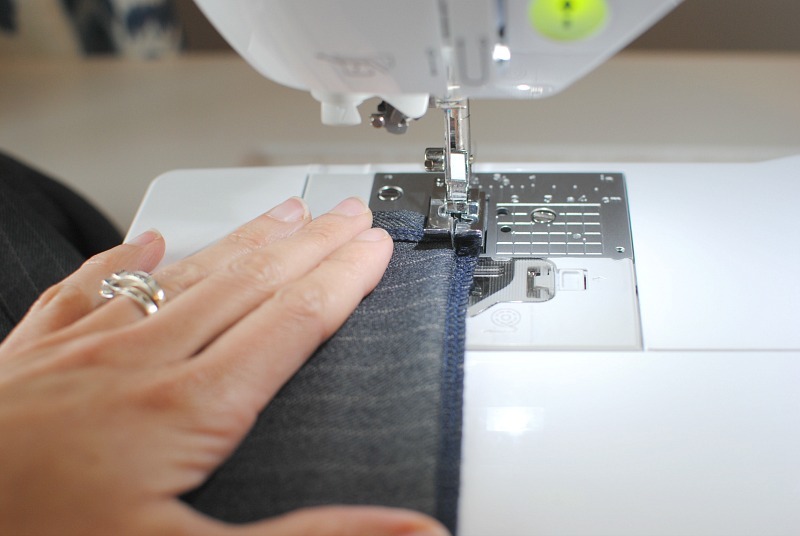 If you don't have a serger you can use the Overlock Stitch on your sewing machine. 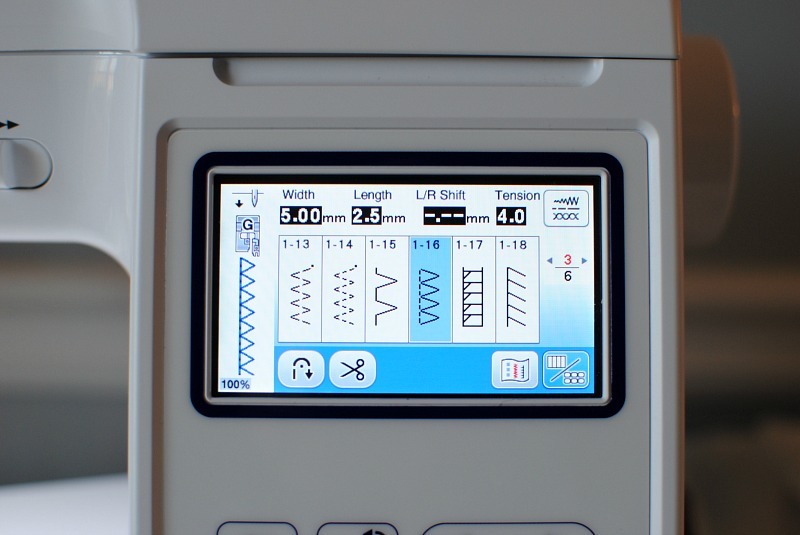 My Brother Sewing machines all have this specific stitch. It resembles a serger stitch. 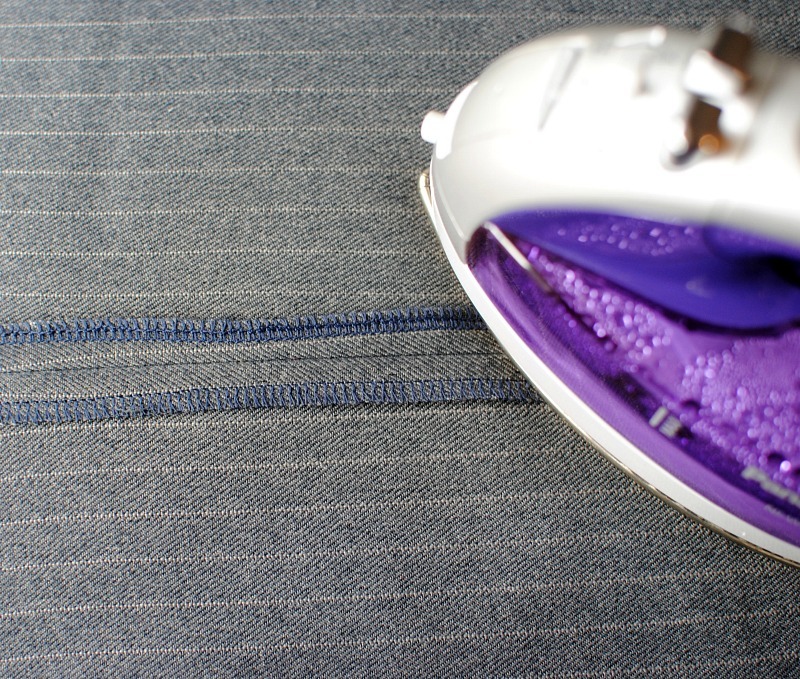 If you don't have that then you will want to do a French Seam. Once you've finished each piece you will sew everything together. The next MUST do tip is PRESS. You will press a lot. You need the seam allowances to be very flat. A professional looking pant is a well pressed pant. Use a tailors ham and a good iron! 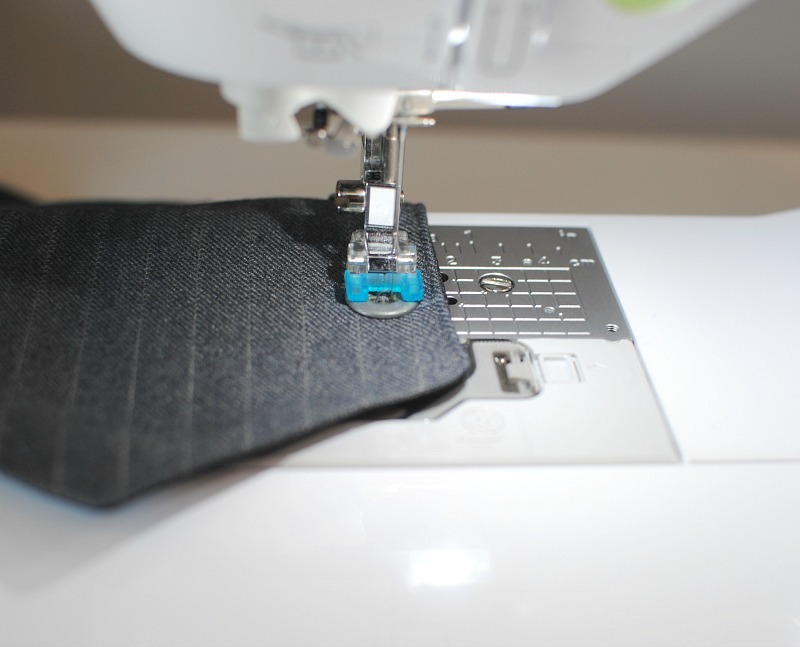 For a nice hem make sure to press the bottom up to the proper measurement, then flip under and sew the blind hem stitch on the fold. 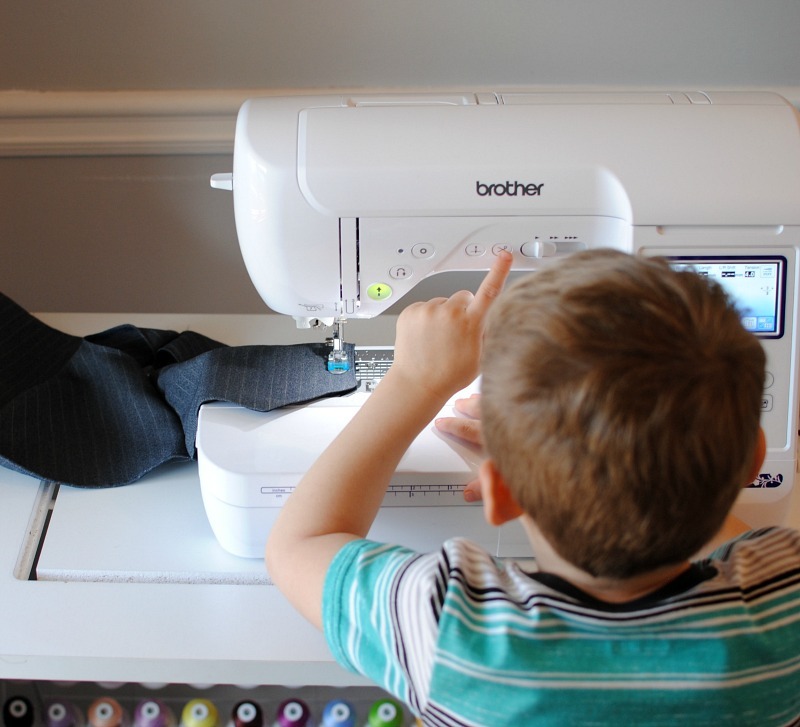 I hope this inspires you to add some tailored projects to your sewing list. Check out all the many Wool Suiting options here. 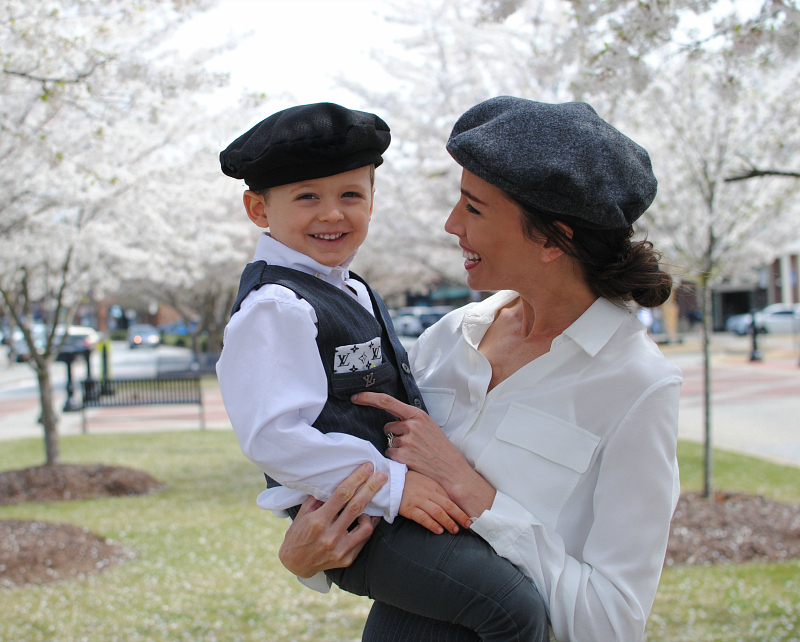 Little champ and his mummy is looking so adorable in wool suiting it give a new look with new sensation color of waistcoat is so attractive with combination of white shirt. Want to purchase same suiting for a children of cheap essays online because these people do their best to satisfy every student and go on a extreme level for their better result by their unusual effort. They look great. As if plunged into the atmosphere of the series: "Peeky blinders"! That's beautiful! It's very suitable for him.